Gain Instant Access and Improve Your Stock Trading Edge Today! MarketChameleon Stock Trader is your first step into an alternative financial research website. Sick of endlessly drawing lines through charts? Tired of scouring the internet for dividend information and meaningful stock information? Are you looking for something extra that those over saturated charting website don't provide? Developed because we couldn't find the extras we were looking for. We wanted intraday dividend updates, threshold lists, event-driven stock screeners and more. So we created the features that were not readily available. Find stock trades like you've never done before. Looking for those unique trades that don't show up on those stock charts?...MarketChameleon Stock Trader Plus gives you access to our one-of-kind financial stock research to show you just that! Don't miss out on what other stock traders already have! Increase your winning trades and dividend income with MarketChameleon Stock Trader. Here are the tools that provide the latest market research for those ideas inbetween the cracks...like stock order imbalance. The information that the ordinary stock chart websites don't give you. Find those unique trading opportunities that you couldn't before with our seasonality and event-driven screeners. Easily find the best dividend stocks and start earning income immediately. Searching through endless stock charts is a painstakingly tedious and time-consuming task (ugh...candle stick charts). And guess what…the professionals already know what you’re looking at so the stakes are stacked against you. Stop wasting your time and start using MarketChameleon Stock Trader to find those opportunities that fall between the cracks. On top that, raise your dividend yield by getting intraday dividend updates that help you find the best dividend paying stocks. Use our latest stock screeners to find in seconds what would take you hours or days compile…that’s if you could even find the data across several different websites. Don't spend tons of money on aggregating different websites that are indistinguishable from one another. Speed up your research today with MarketChameleon Stock Trader! We set out to find edge in the stock market in a unique way. That’s why we created different tools than we’ve seen out there on other websites...such event-driven screener and a historical price return distribution report. Also, it’s super important to get those intraday dividend updates so that you can change your models quickly and don’t get caught off guard. 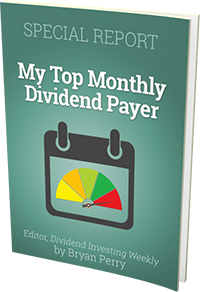 Even finding the best paying dividend stocks can be a hassle when you don’t have the right tools. So, give MarketChameleon Stock Trader a try today...the right tool set for the stock trader that wants to go beyond the average research website. Join the MANY traders now using Stock Trader to find the unique trades!